Deogarh District was newly created on 1.1.1994 being bifurcated from Sambalpur District. It is a Backward District domicile by ST people. As it is a industry less district the people solely depends upon Agriculture. Here you can get the information about the best Picnic Spots or most popular tourist spots in Deogarh District of Odisha. If you want to know the List of Famous Picnic Spots in Deogarh District of Odisha then see the below tourist spot link to know about the Famous Picnic Spots in Deogarh District of Odisha and experience the Deogarh Tourism. This waterfall is unknown to lot of people. This is deep inside dense forest. 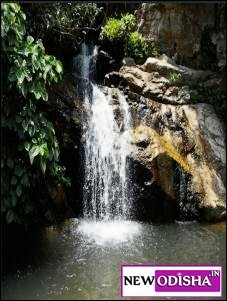 This is a small waterfall but with amidst natural beauty of jungle and waterfall. 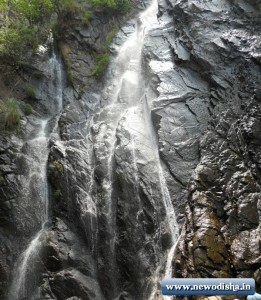 Govt has plan of a Hydro Electric Power Project on this waterfall. There is no perfect road to see the waterfall, you have to go 1kms on footstep roads to see this waterfall. Due to isolation, a lot of people do not come to this place. But this has the potential for a good tourism.This is also a step waterfall. Water coming from a root of a tree and flowing through various big stones and creating a waterfall feel. The Water is crystal, clear and sweet in taste. This waterfall is in 2kms from Debagarh town. You can see the real jungle adventure and beauty of saal trees here. The beauty and calmness of this area only you can get when you visit this place. Give Responses for "Famous Picnic Spots in Deogarh District of Odisha"